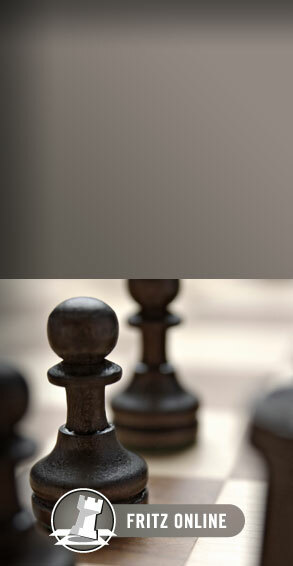 11/5/2015 – FIDE has announced the dates for the next candidates tournament. It will take place in Moscow from 10. to 30. 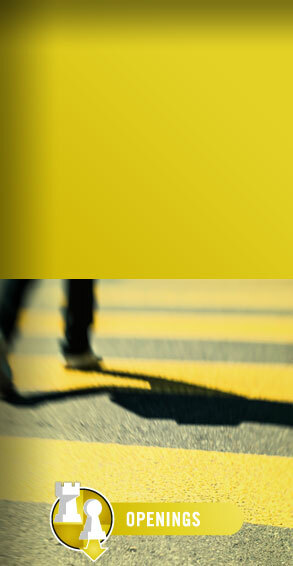 March. 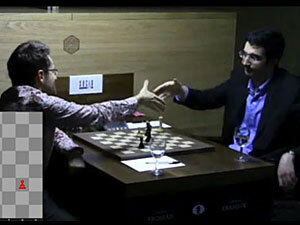 Main sponsor is the Tashir Group, and the wildcard goes Levon Aronian. Six players had already qualified: Anand, Nakamura, Caruana, Karjakin, Svidler, and Topalov. 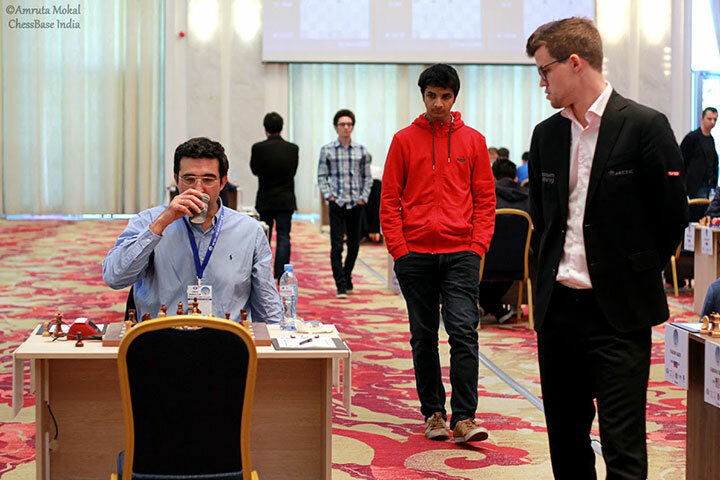 Anish Giri has the best chances to become candidate number eight. 4/14/2013 – These were some of the words that Vladimir Kramnik used in a recent interview to describe the victor of this year's Candidates Tournament, Magnus Carlsen. In the latest entry for the Herald Scotland, GM Jonathan Rowson depicts how the young super-star dashes his chess game with realism and sombreness and how it separates him from his predecessors. 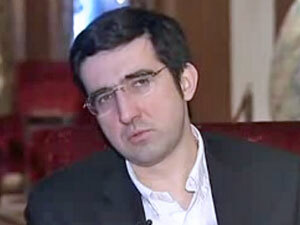 4/11/2013 – Immediately after the Candidates tournament in London Russian NTV journalist Marina Makarycheva did an extraordinarily substantial interviews with Vladimir Kramnik: how did the Candidates go, who has the better chances in the 2013 World Championship, and what the future has in store for him. The interview is in Russian, but has been faithfully transcribed by Peter Zhdanov. 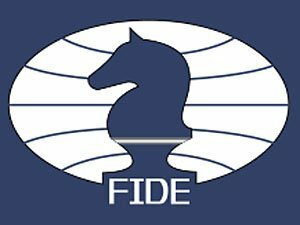 4/8/2013 – We all enjoyed a very high level of play demonstrated by some of the top human chessplayers in the FIDE Candidates Tournament, London 2013. However, what was the exact quality of play in these games – and can this be measured? Can we compare it objectively to the quality of play in previous World Championship matches? Matej Guid and Ivan Bratko make an attempt. He's not a machine, he's a man! 4/6/2013 – That's what Rocky's trainer says about the seemingly invincible Russian challenger Ivan Drago. And when wife Adrian says: “It’s suicide – you've seen him, you know how strong he is, you can't win,” Rocky replies “The only thing I can do is just take everything he's got. But to beat me, he's going to have to kill me." 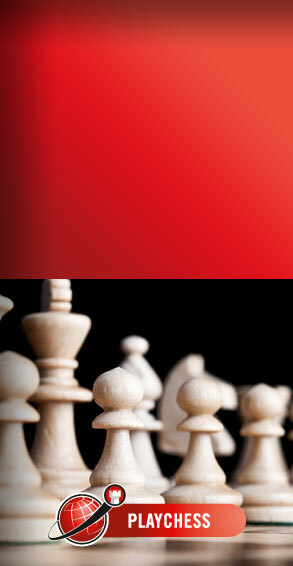 What does all this have to do with chess? GM Jonathan Rowson explains. 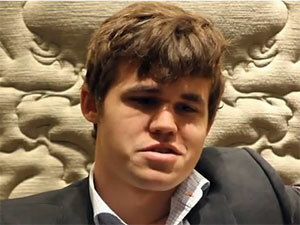 4/5/2013 – In the heat of reporting on the London Candidates tournament we unfortunately forgot one participant: Norwegian chess genius Magnus Carlsen. At 22 he already has sterling accomplishments under his belt – the World Championship is the one title he still needs for his résumé. With his victory Magnus has taken the first step towards that goal. Final player portrait by Michael von Keitz. 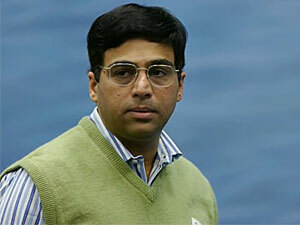 4/3/2013 – While the candidates were battling in London reigning World Champion Viswanathan Anand was watching the action from his home in Chennai, India. He thought it was "the best ever Candidates tournament in history," and in the end was rooting for Vlady Kramnik, "a brother from my generation." Find out what he thinks of his prospects against Challenger Carlsen in this Indian Express interview. 4/3/2013 – The Candidates Tournament is over, Magnus Carlsen has emerged as winner and Challenger for the World Championship title. In closing we were able to record a 14-minute interview, and on the same day tour the city with the Norwegian star – a tour that included a visit to Number 10 Downing Street, an address you might recognize. 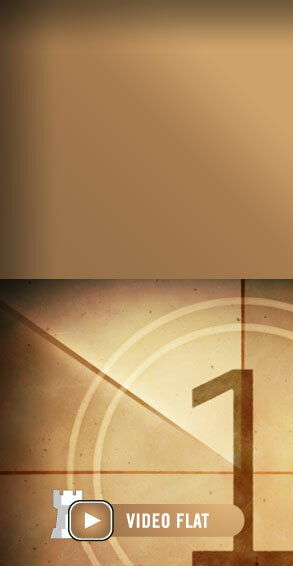 Video and pictorial. 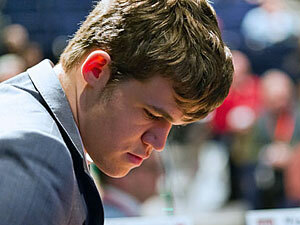 4/2/2013 – Magnus Carlsen is the next World Championship Challenger. He ousted Vladimir Kramnik by the narrowest of possible margins. The Russian former World Champion was left heartbroken after a spectacular performance in the second half of the event. We brought you GM analysis of the the two key final round games in our previous report. Here now are pictures and videos to provide final impressions. 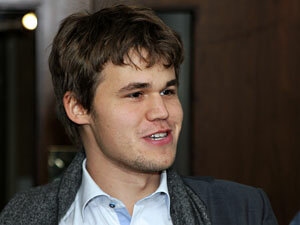 4/1/2013 – Magnus Carlsen overpressed a messy position against Peter Svidler and was swiftly punished. However Kramnik gambled all of his chips, and Ivanchuk simply took them all! 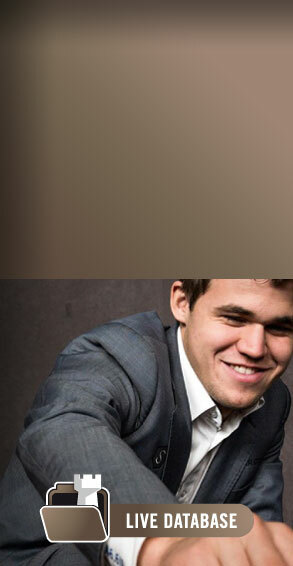 Carlsen’s luck has not abandoned him and he is now the official challenger against Anand for the World Chess Championship, edging out the Russian’s great performance by virtue of his better tiebreak. Full report with GM analysis. 4/1/2013 – After a truly dramatic twelfth round that overturned all expectations we saw a thirteenth round that was equally tense – with equally score table churning results. Everything was played out in the live video coverage of the organisers, which is meticulously archived so that people who missed the games can relive them at a later time, including postmortem analysis with the players. 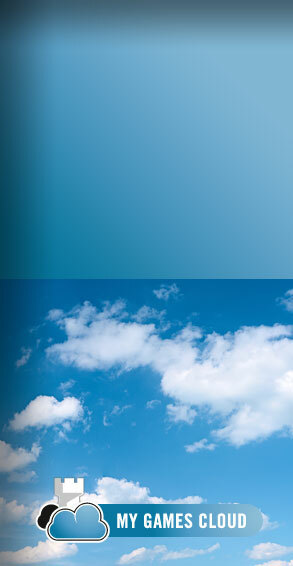 3/31/2013 – Another heart-stopping round. Vladimir Kramnik had a very nice position and looked right on the path to victory, in his game against Boris Gelfand and in the tournament. This because Magnus Carlsen had a very drawish position on his board against Teimour Radjabov. But the latter blundered in the endgame and Carlsen drew level with Kramnik. The event goes all the way to the wire. 3/31/2013 – Round 12 of the Candidates Tournament for the World Chess Championship was a thrilling affair, and it ripped a huge hole in the sail of Magnus Carlsen, who had been coasting to victory. Now the odds have been overturned and Kramnik is the statistical favourite to win. But it all depends on the tiebreak, as Jeff Sonas explains. Anyone for an expert lesson in statistics and chess? 3/30/2013 – The twelfth round of the Candidates was easily the most dramatic of this tournament so far: Kramnik's victory over Aronian and Ivanchuk's defeat of Magnus Carlsen turned all expectations upside down. 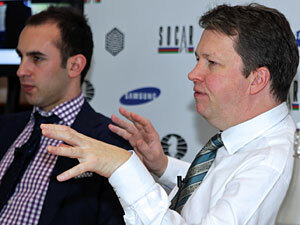 IM Lawrence Trent and Nigel Short doing a splendid commentary job on the World Chess live broadcast. If you missed the action yesterday you can relive the round and commentary – all six hours of it. 3/29/2013 – A tremendously exciting round: Vladimir Kramnik pulled off an incredibly important victory over Levon Aronian, who blundered in the endgame. 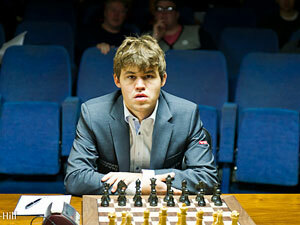 Meanwhile Magnus Carlsen got into trouble against Vassily Ivanchuk, who won the rook ending in impeccable style. 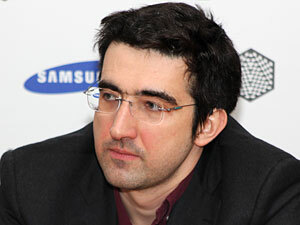 This left Kramnik in the lead, with two rounds to go. High drama. 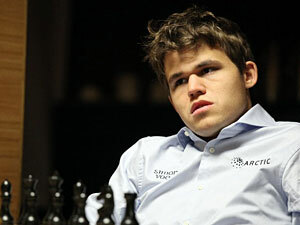 3/29/2013 – In his last statistical evaluation of the tournament Jeff Sonas gave Magnus Carlsen a 71% chance of winning the tournament and becoming the challenger. 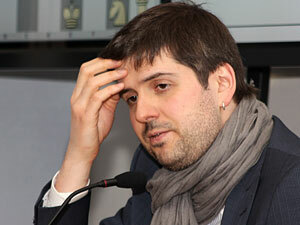 Levon Aronian had a 12% chance and Vladimir Kramnik 9%. 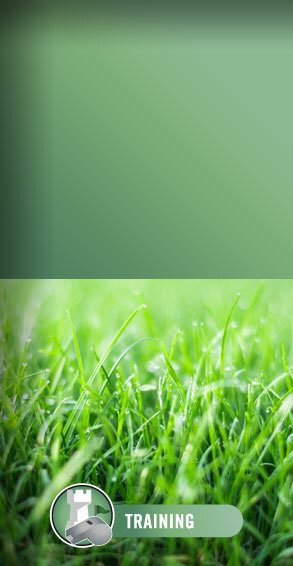 In his latest article we see how the values have changes. In addition, if you were wondering how the tiebreak system works in case of a tie, here's a precise explanation. 3/29/2013 – Alexander Grischuk drew against tournament leader Magnus Carlsen with a coffeehouse move; Vladimir Kramnik beat Teimour Radjabov, who fell for a nice trick on move 28; Peter Svidler played a potentially tournament-deciding game by beating Carlsen's main rival Levon Aronian; Vassily Ivanchum and Boris Gelfand ended an theoretical duel with a draw on move 17. Press conferences.